Get expert advice before investing in pond supplies. Call us today! Garden ponds are one addition that can change the entire appearance of your yard, and transform your outdoor space into something truly relaxing and inviting. Fountains, waterfalls, plants, lighting, and other accessories can make an ordinary yard look stunningly unique. The shape and size of the pond, the choice of bridges and rocks – the configuration is only limited by your imagination, your commitment, and your yard space. Alpine Aquatics Pond & Pet has been serving Blaine County residents for years. Our experienced aquaculture and environmental consultants can work with you to design and install a new pond system and enhance the appearance of your yard. Alpine Aquatics Pond & Pet has worked with businesses and homeowners in the Hailey, ID area and has earned a reputation for providing top-notch service at the best possible prices. 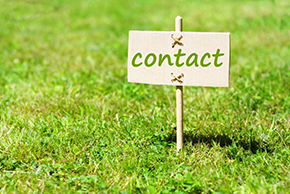 We offer a full range of services, from pond design to pond maintenance and pond supplies. Our courteous teams will construct your new water feature with care and concern for your existing yard design, so that the new addition will seamlessly take its place. Alpine Aquatics Pond & Pet works with the public and private sectors and uses a natural systems approach to all water resource management needs. So whether you are restoring landscapes, managing habitats, or installing a simple, intimate water garden, our staff has the experience to meet your needs. We Deliver Pet Food and Pet Care!